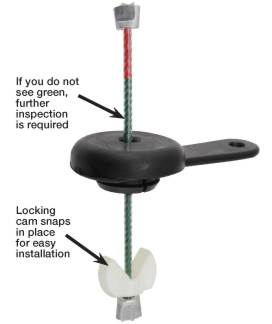 CULLMAN, ALABAMA --TSE Brakes, Inc. is introducing the TSE Visi-Chek™ visual brake stroke indicator (U.S. Patent No. 9,267,562; Brake Chamber Stroke Indicator System and Method). Now it is easy to see if your vehicle brake stroke is in compliance. A simple green is good, red means further inspection is required! "This amazing new product allows anyone, from drivers to maintenance people, check brake stroke simply by looking to see if the indicator shows green. It is very easy to install. It just snap in place," remarked Ian Shackleton, TSE Brakes Director, North American OEM Sales and Marketing. "Now you can catch improper brake strokes before a random DOT inspection," Ian Shackleton continued. With Visi-Chek, checking brake stroke is easy. If you see green, then the system is okay. When only red is visible, further inspection is recommended. The indicator is designed to be easy to read even in low light conditions where brake chambers are located. Five part numbers handle the majority of TSE Brakes applications. Each package contains two units to handle one axle, an instruction sticker to place on the vehicle, and simple installation instructions. Bulk packaging is also available. 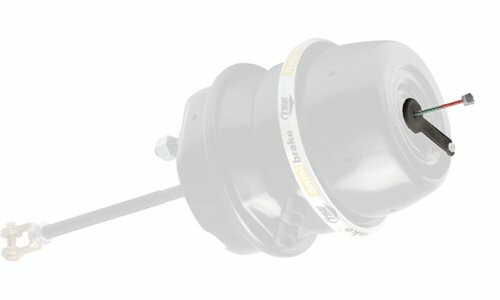 Product will be available throughout the TSE Brakes extensive OEM and aftermarket dealer network.